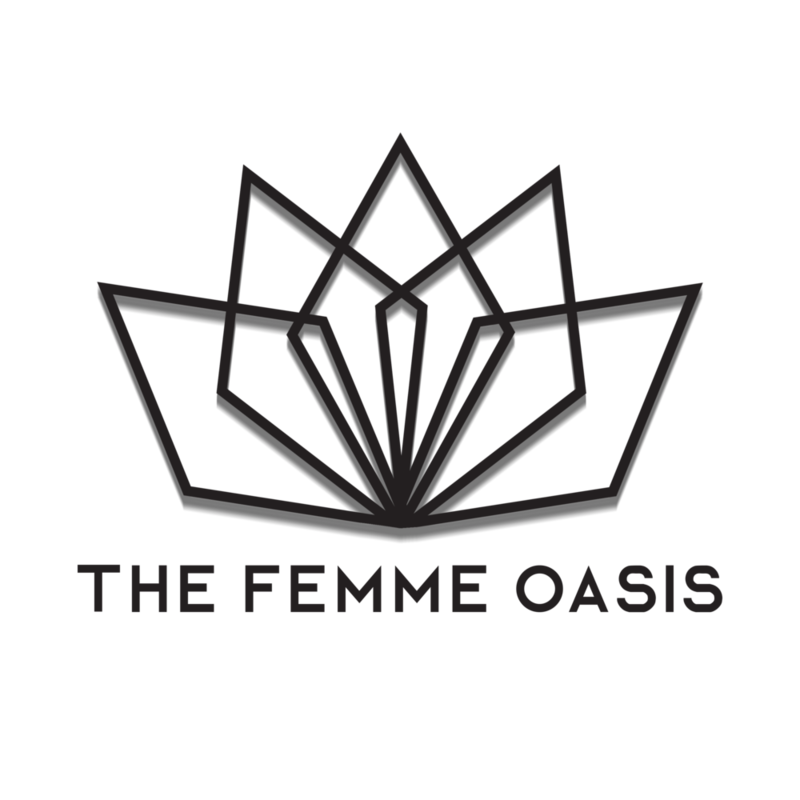 The Femme Oasis: How do you identify yourself (gender and gender performance)? Amina: I identify as a heterosexual female. TFO: What is your current occupation? A: I currently work as an administrative assistant/study coordinator at a media research company. TFO: What do you do as a hobby? A: My hobbies are creating YouTube videos, reading, writing, writing in and decorating my planner, and watching YouTube vlogs. TFO: What are some organizations you’re involved in? A: At the moment I am not involved in any organizations, however, it is one of my goals for 2018 to join organizations for women’s empowerment and women in tech and social media industries. TFO: What is your dream job? A: My dream jobs are to work cohesively and successfully in social media, marketing, and tech industries. I have a great passion for social media and technology and I feel like these fields have so much power to inspire and uplift women and young girls, that’s where my heart is. TFO: What are the three major stressors in your life? A: Three major stressors in my life right now are 1. trying to break into a social media industry that is so saturated and fueled by drama or outward appearance and that’s not what I’m about and I have little experience in that area as well. 2. I extremely dislike my job, I’m way under paid, and I’ve been having the hardest struggle trying to find other employment somewhere I truly love and enjoy. 3. Not being satisfied where I am at this point in my life and constantly trying to push through my current circumstances. TFO: How do you cope with your stresses (if at all)? A: Lately I’ve been combatting my stress head on. Whenever I feel myself starting to worry, get anxiety, or ever think things, I breathe slowly, take deep breaths, and remind myself that I am where I am for a reason, God has a plan, and if I have faith in Him I need to trust Him and his plan. If that tactic doesn’t work I will do something to take my attention away from whatever it is that I’m thinking about like watching a video, writing positive things while listening to music, reading, or editing a photo/creating something. TFO: Do you have goals you set for your life overall? A: Yes I do have goals set for my life overall. TFO: What is your process in achieving these goals? A: My process in achieving those goals are simply to do things that will get me closer to them, even if they push me out of my comfort zone, always staying true to myself and my morals, and keeping my goals visible everywhere I go. TFO: What is your daily mantra (if you have one)? A: Something I tell myself every day multiple times a day is “I can do all things through Christ which strengthens me. That isn’t exactly a mantra but I do try my best to give myself daily affirmations in the morning and at night. TFO: Are you happy where you are in life? A: I have times when I really feel happy about where I am but overall I’d say no. TFO: If not, would you say you’re unhappy, or just not completely satisfied because you want better/more? A: I definitely would say that I’m satisfied and I’m searching for better and more. TFO: Are you on a path you feel is right for you? A: I’ve been very confused about the path that I am on because it isn’t consistent and it doesn’t make me comfortable or happy. But they say it’s the times when we feel uncomfortable in our current circumstances that push us into greatness. TFO: Do you feel confused or pressure to figure out if you are on the right path? A: I feel confused about and pressured to figure out the path I’m on and where it will lead me. TFO: If you feel you aren’t on the right path for you, what are your roadblock(s)? A: I’m not sure that I’m on the right path. My current road blocks are lack of access to equipment, not having my own space where I feel completely comfortable, free, and inspired, and insufficient funds. TFO: Do you feel you can alleviate these hindrances or do you feel they are bigger than you? A: I definitely feel like these hindrances will be alleviated in the near future. TFO: What are some pressures of society you wish didn’t exist? A: Pressures of society that I wish didn’t exist are 1. Growing up so fast. When I was a kid, I enjoyed life as a kid, but I did have to grow up and be independent really quickly. 2. Having to have perfect skin and a perfect body to be considered beautiful. I feel like this pressure has simmered but it is definitely still there. Just because I don’t have great skin or a great body doesn’t mean I’m not a beautiful human being. 3. To be wealthy, have designer things, or have the perfect job immediately after college or at all. So many of my friends and I see the “rich” lifestyle promoted everywhere on social media and in music, especially with people our age. The desperation to be like those people is literally putting young people into depression and reality is not everyone will have all those things. They’re just things. TFO: What would be one thing you don’t have but you want at this very moment (it can be tangible or intangible)? A: Choosing only one thing I do not have that I want at this very moment is financial freedom. TFO: What do you do for self-care (if anything)? A: For self-care, I get mani-pedis, I write, take a ride and enjoy good music, I take myself to the movies or out to eat, I take time to be lazy, distress, and relax, and I try to eat things that make me and my body feel good throughout the day. TFO: What is something you do well that you can offer society? A: Something I do well that I can offer to society is using my voice to lift others up by giving encouraging words of wisdom, giving advice and a listening ear, and/or opening up and speaking about issues that I, women, and young girls often go through that don’t like to be spoken about. I’m also very good at crisis management, problem solving, troubleshooting, and delegation. I definitely think those traits can help society in many ways. TFO: Do you have goods or services you want to sell or promote to your fellow femmes and women? A: I’d just like to promote my YouTube channel Amina Mahogany. At the moment I do natural hair tutorials and occasional motivational videos but, I plan to transform my channel this year into an all-encompassing women’s empowerment and wellness channel. TFO: Where can we find you (social media, email, organization etc.)? A: You can find me on Instagram @AminaMahogany and you can reach me at my business email aminamahogany@gmail.com.